Back in the day families were huge and dinner time around the table was always an event. 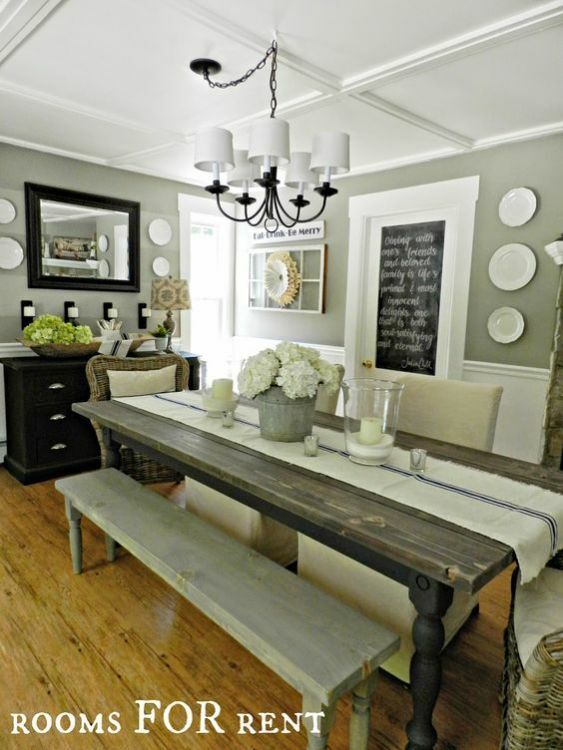 That’s why most authentic farmhouse style tables are quite large. We often see modernized version of them today, made smaller to fit our tinier lifestyles. 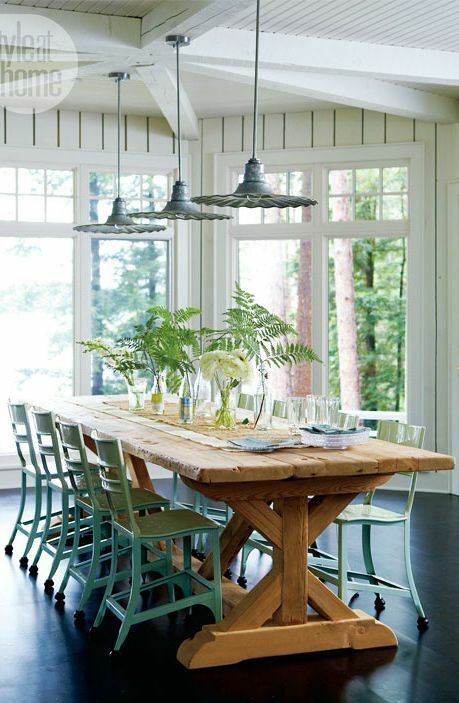 But there are still big families out there that would just love these gorgeous, rustic farmhouse dining rooms. This modernized home has splashes of country farmhouse style in every aspect of its décor. But the tongue and groove craftsmanship in the rustic table is the icing on the cake. Don’t even get me started on those stunning post legs. 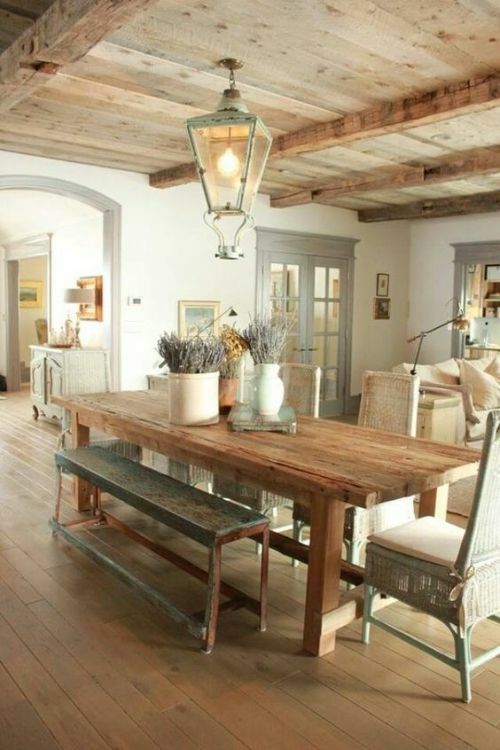 The soft, cool hues in this large farmhouse style dining room are to die for. 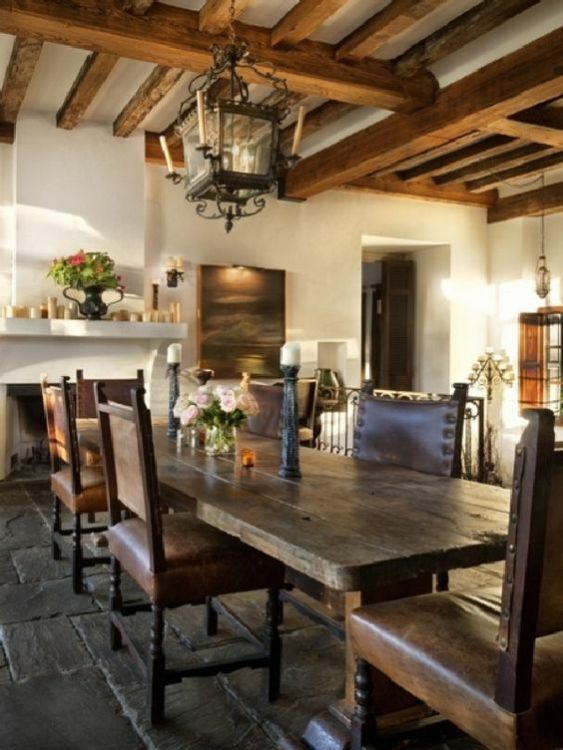 Everything about this space screams elegance; from the worn out finish of the wood to the plush, tuft back chairs. Divine! A bench seat is a great way to save space while also providing extra seating. But saving space isn’t an issue in this pastel beauty of a dining room. 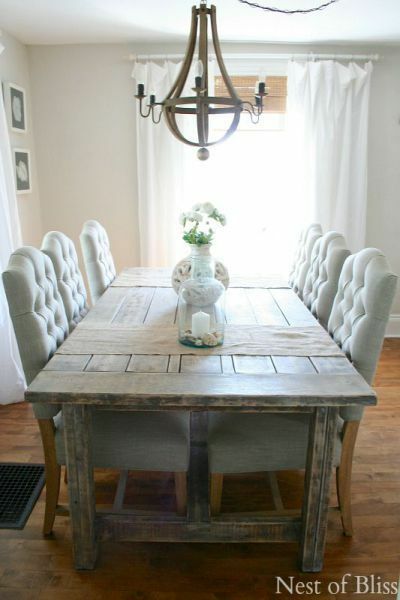 The farmhouse table is simply made but does the job and can easily seat 8-10 people. There’s always someone who prefers the darker, warmer tons of the walnut and leather finishes. 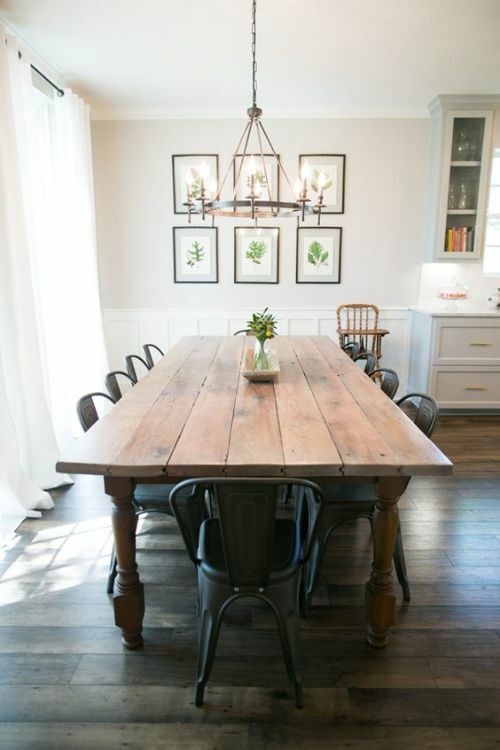 This farmhouse style dining room not only fits a huge group of people, but it’s also a rustic, old world dream. This entire space is light and airy, giving an almost whimsical aura. But the farmhouse touches like the wood slab table and the wingback chairs give the dining room the inviting feel it needs. Just look at this beast of a table. The worn out divots and the softened edges tell you that it’s been well loved and will be for many years to come. They just don’t build them like this anymore. 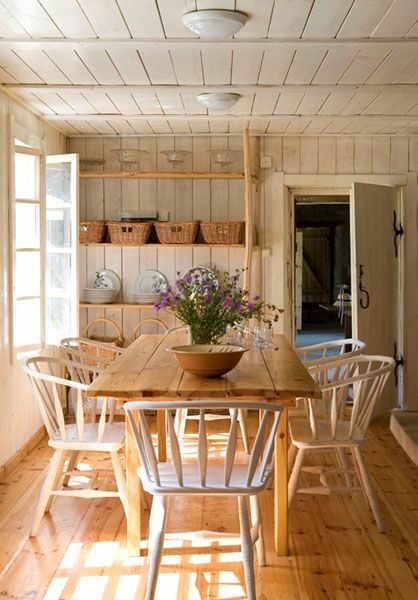 The seating in this rustic dining room isn’t miss-matched by accident. The combination of a bench with the wicker and also the slipper chairs is a great way to add texture and visual intrigue. And the monotone pallet of greys is soft and inviting. I know, I know. 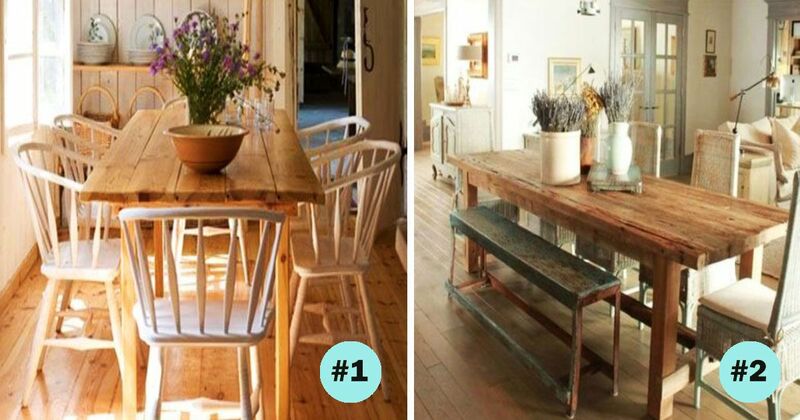 This list is all about farmhouse dining rooms for big families, right? Well, those of you who are lucky enough to live in the warmer climates can appreciate this upsized eating area for huge families and even bigger groups for events. 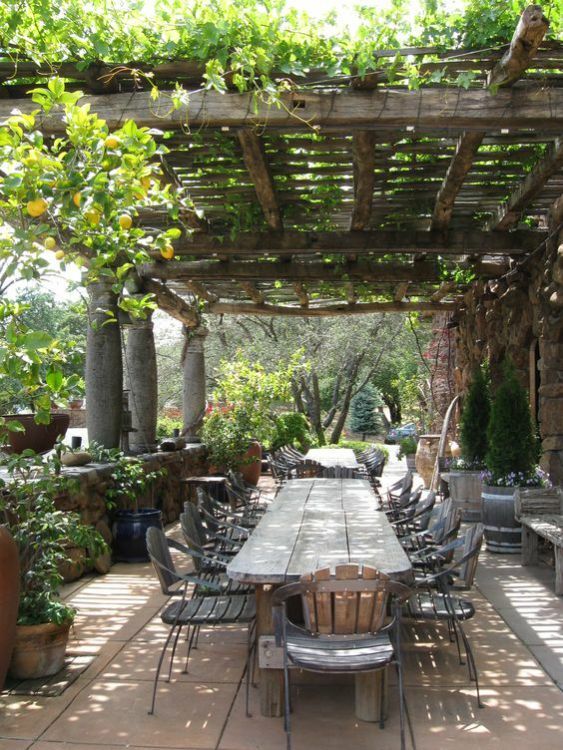 The rustic tables are plain but look absolutely divine under the roof of greenery. Which one was your favorite? Tell us in the comments below and make sure to SHARE if you loved these looks as much as we did!